Sewing has been an integral part of humankind. Archaeologists have discovered sewing needles made of bones dating back to 17,500 BC, while the first sewing machine appeared in 1790. Thus, the evolution of man played a big part in developing the sewing techniques. And the introduction of the technology has relieved women from hand-stitching the clothes. The opening of clothes factories and the emergence of many clothing brands over the years has declined the use of sewing machines at home. However, the trend has changed. And now, sewing your own clothes is considered fashionable. The demand for advanced and feature rich sewing machines has grown rapidly. The global market survey predicts that sewing machines will surpass 29 million units globally by 2024. The market is full of different kinds of sewing machines, tailored to your needs and preferences. But in this post, we will explain everything about serger sewing machines. Let’s do this! 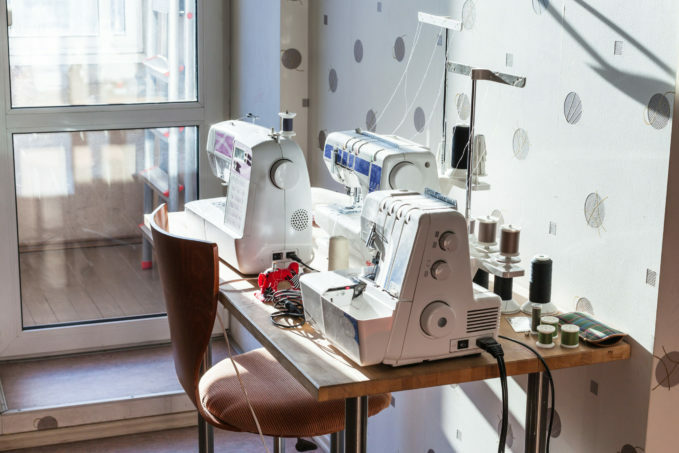 Read on to understand the differences between serger sewing machines and regular ones and why you should consider having a serger. Are you a beginner to sewing? You will need to get the essentials first. 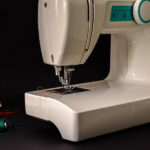 What are Serger Sewing Machines? A Serger, also known as an Overlock Machine, performs the finishing and decorative stitches. Serger sewing machine has two needles, a needle plate, and a longer foot. It also accommodates several different spools of thread. this type of sewing machine binds fabric together with an overlock stitch formed with 3 or 4 different threads. It cuts the stitching and embeds the edge of the fabric within a thread casing. However, depending on a model and manufacturer, it may have other functions as well. And may even have up to eight spools of thread, which gives sewer various options. The thickness and width of the stitching are two of the many options available on a serger sewing machines. However, all the machines have different options depending on the manufacturer. 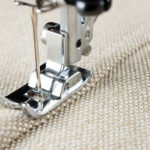 In addition, a serger can perform the flat locking and chain stitches. Expensive ones will have a cover stitch function as well. Usually, serger sewing machines can easily handle knits and delicate fabrics. 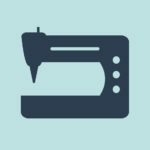 What’s the Difference Between Serger and Sewing Machine? A serger is an utterly distinctive machine. It is not like the sewing machine you have seen at your grandma’s house. Serger sewing machines have a blade right before the needle, enabling it to sew and cut the fabric simultaneously. On a typical sewing machine, you cut the ends first and then sew the clothes or whatever else you are creating. 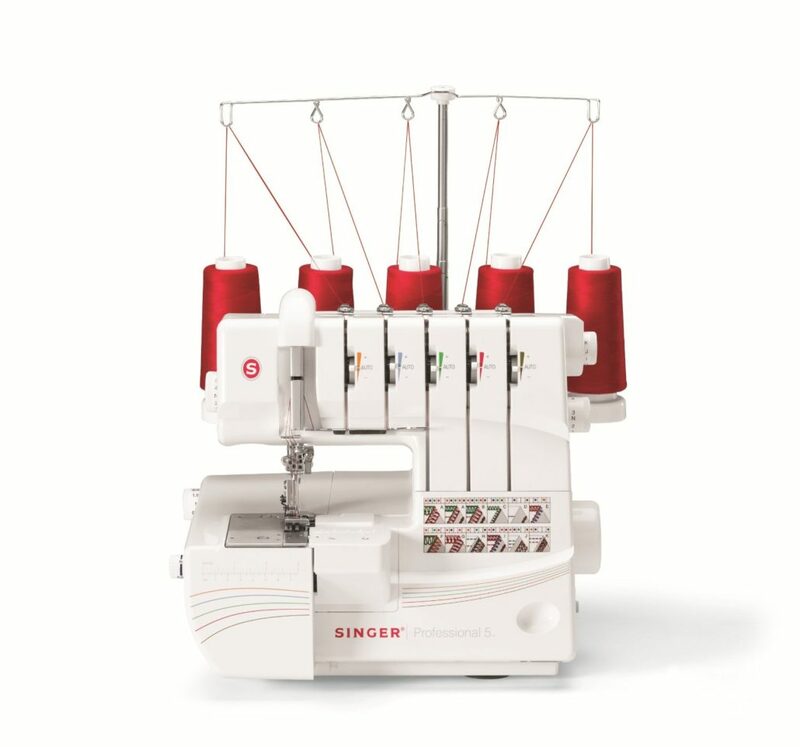 Sergers machines have different thread options, which enables you to create various stitches. Some use 3-4 threads to create the locked stitch, while regular sewing machines use only one. Additionally, serger sewing machines are a lot faster. Why Do I Need To Have Serger Sewing Machine? 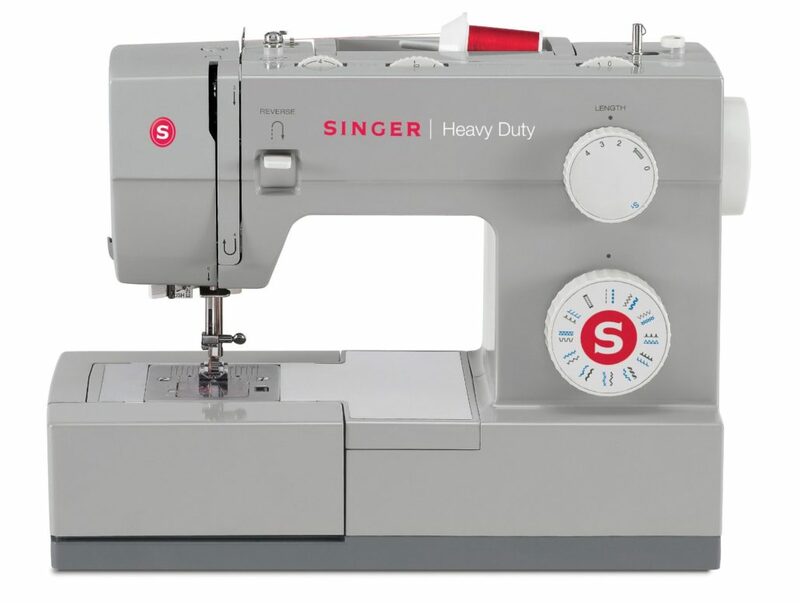 Sergers are easier to use and as mentioned above are faster than regular sewing machines. Additionally, it eliminates all the unnecessary work that a sewing machine can’t take care of. The serger has a better stitch – it’s stronger and more durable. One of the biggest advantages of the serger sewing machines is that it cuts the edge of the fabric as you sew, making a clean raw edge. To make it more clear, imagine that you need to shorten the length of your pants. With a regular sewing machine, you need to cut the bottom of the pants, zig-zag it to prevent fraying, fold over the seam, iron, fold the seam again, and then sew the hem of the pants. With a serger sewing machine, all you need to do is serge the bottom, fold it over once, and topstitch. Straightforward, isn’t it? One of the most significant advantages of a serger is the cover stitch option. If you are willing to invest in a bit more expensive machine, then get the one that does it all. The cuffs have such stitches and allow clothes to be flexible to the wearer. You can still do those stitches with double needle sewing machine, but the end results are unique. It isn’t necessary to have a serger to sew, but it adds a lot of strength to the garment that other machines can’t provide. To decide which features are necessary for you, you need to think what you are going to use the serger for. For instance, you won’t need a cover stitch function, if you aren’t going to hem knits. However, a serger machine can still help you a lot in sewing knits without a cover stitch option. A serger makes sewing knits easier, faster, and neater. A serger is also an excellent choice if you don’t sew garments. Thus it’s a good choice to sew pillows, skirts, and curtains for instance. However, your plans may change over the time. 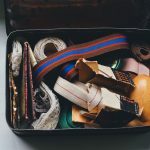 Once you perfect your sewing skills, it’s more likely you will need extra features and that you will possess numerous ideas of how to use your serger. It’s also perfect for adding decorations on various items, or adding strength and keeping the flexibility of your project. If thinking of purchasing one, also think of how often are you going to use it. If you are going to use it for yourself and your family, then you probably won’t overuse it. Unfortunately, not all sergers can hold extensive use. 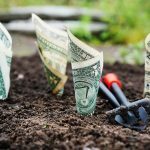 But if you are planning to make some side income out of your projects, then you might need to invest in a more durable serger. Seam Finishing: A 3-thread-overlock stitch quickly neatens and finishes seam allowances on woven fabrics. Seaming Knits: Overlock stitches have an elasticity that naturally fits with knit fabrics. Gathering: It’s easy and quick to add a ruffle to home decor items or garments. Coverstitching: Used to have a polished look at your projects. Note though, that not all sergers have this function and look for the ones that have. Rolled Hem: Excellent feature for quick hems on children’s clothes or napkins. Chain Stitch: Decorative top stitch looks beautiful on denim. Elasticator Application: The elasticated foot only handles 1/4 inch elastic and is ideal for quick half-slips. Before explaining the differential feed, you need to understand what are the feed dogs. They are thin spiky metal bars you see right below your presser feet. Feed dogs move the fabric towards the back of a serger, determining the exact length of the stitches. Serger excellent plate has two independent sets of feed dogs – front and rear. Each one has an individual feed mechanism. They can feed the fabric at different ratio, but you can make them move at the same speed as well. The differential feed knob has a numbered scale, usually going from 0.6 to 2. From 0.6 to 1 the front feed dog doesn’t move as much as the rear one. This causes the fabric to stretch under the presser foot to offset the puckering. 1 makes both feed dogs run at the same speed. From 1 to 2 the front feed dog moves more than the rear one. This amasses fabric under the presser foot. This feature is great when working with knits. You can modify the feed to get the same results you would get on your typical machine. Can I Only Have a Serger Sewing Machine? Even though you can definitely do some projects on a serger sewing machines, it can never replace a regular one. You will still need a regular one for zippers, facing, top stitching and buttonholes to name a few. Unfortunately, a serger can’t do those. 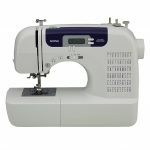 And if you are looking to buy a computerized sewing machine, here are some things you need to consider before. How Do I Find Best Serger Sewing Machine? Firstly, determine what do you need a serger for. If you need a basic, durable seam, then a 2-4 or 3-4 thread machine will do fine. Plus, you will have some money as well. For a maximum amount of versatility for a fair price, you might consider investing in 2/3/4 serger. Those have a strong differential feed enabling you to add some creativity to every project. Think of what additional features you may need your serger to have. The best sergers have color-coded threading which eliminates problems from a poorly threaded machine. Threading a serger isn’t always easy, thus get the color-coding to avoid the damage that warranty might not cover. Finally, consider the type of hems and extra allowance. Rolled hems are perfect, and doing flat seams can be difficult, in particular on some fine materials. Do you sew? 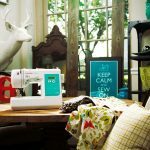 And if the answer is yes, do you use the serger sewing machine? Or if you are a beginner, are you considering on purchasing one? Leave your comments down below! We would love to read your experience!